Rene Magritte was born in a small town of Lessines in the western part of Belgium, in 1898, and died in 1967 in Brussels. Whilst staying in Paris, he became very close with the Surrealist circle around the poet Andre Breton and acquainted with the art of Dali, Miro, and de Chirico. 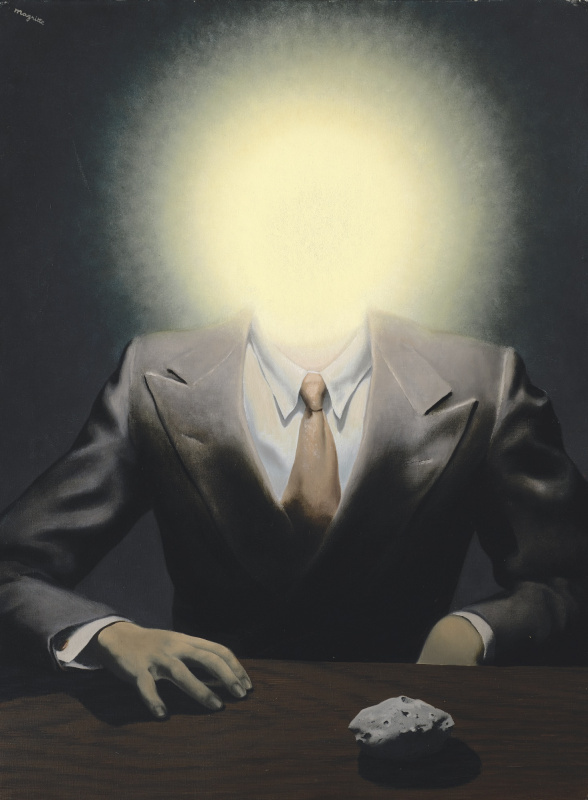 Rene Magritte was influenced by the items and symbols of advertising world that was on the rise, and built his own mode among the Surrealism art movement. His artwork is often described as enigma and paradox, questioning the existence of depicted objects, language and signs, and the whole purpose of art as reality extension. 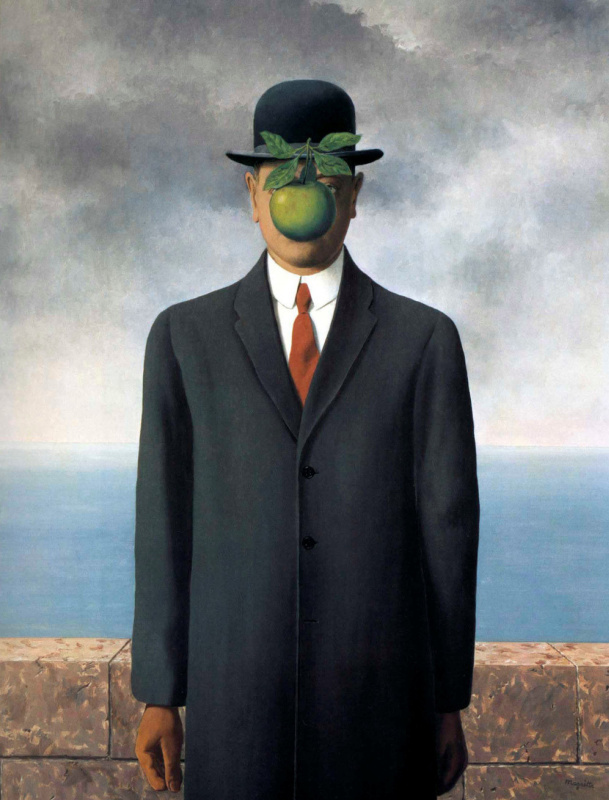 The eminent Belgian artist Rene Magritte became one of the best-selling authors of the 20th century, whose works inspired modern art phenomena such as Pop art, and were often cited on book or record covers. Au Revoir painting induced The Beatles record company logo, and later the most famous apple in the world-the Apple computers trademark. 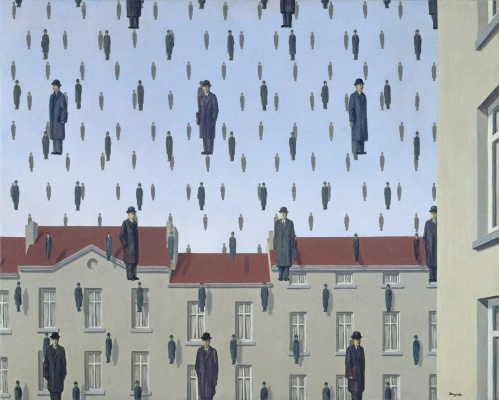 Rene Magritte used the same motif frequently, in Beautiful realities, also in the Son of man and The great war paintings. In 1926 the artist signed a contract with the Gallery Le Centaure in Brussels, which was a turning point in his career, marked by the painting The lost jockey. He was now able to renounce his daily job as a poster and advertising designer. This position, however, left a valuable trace on his artwork, for the witty game of words that he used in The treachery of images or This is not an Apple, resembles the ad lines that sell ideas and feelings instead of real, apprehendable objects. 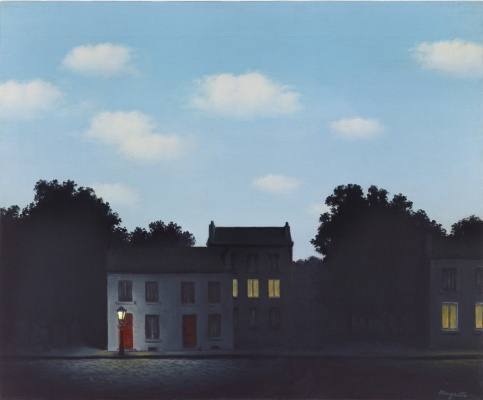 Rene Magritte had a biography of a peaceful middle-class existence in the suburbs of Brussels, as an artist working from nine to five, and usually equipped with a bowler hat. The same hat became a regular symbol in his artwork, like in Golconda and The masterpiece or the mysteries on the horizon. 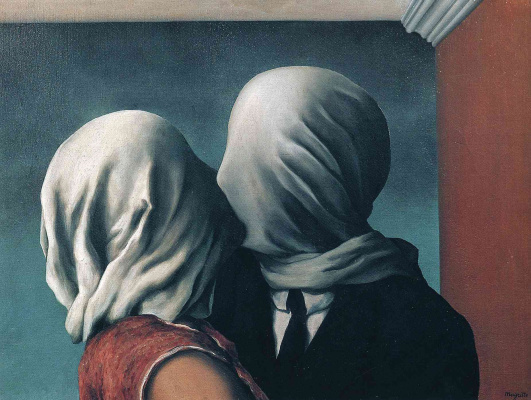 Other works depict a strangeness even among the Lovers, whose heads are covered in linen while kissing, or as an oversexualized image of a woman-Violence. 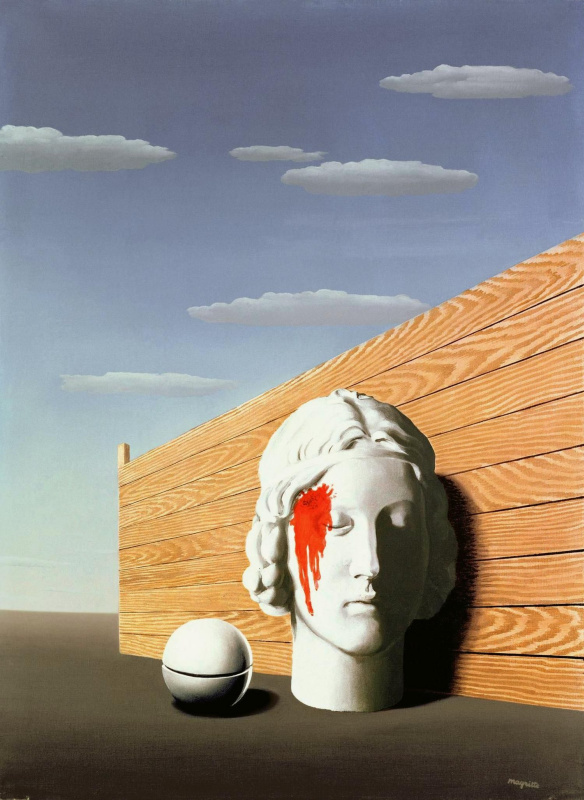 The disturbance that Rene Magritte was so fond of, comes in a form of a twisted portrait, where the mirror reflects not the face, but the back of the man looking at it-The reproduction is prohibited, with the title that mocks the public scorn for Magritte’s multiple productions of the same painting. He also had visionary notions about how we see the world today, and that our sights are very often mediated through some sort of lens, gadget or device, as in his piece The conditions of human existence. The reality of seen, as the reality of crafted, however, as the one in the painting Attempt the impossible, can never be attained at the same level as reality itself, but again, can we attain the reality even in the actual world? Rene Magritte provides the answer: What does that mean? It does not mean anything because mystery means nothing, it is unknowable. 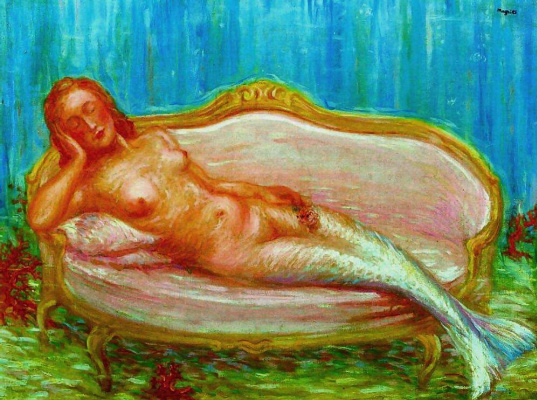 In 1924 French poet Andre Breton wrote a manifest of the Surrealism movement, and the new and fresh blood was released into the art world with this odd mob of Surrealist writers and artists. They proclaimed the principles of automatic and spontaneous creation, heavily relying on dreams and subconscious epiphanies, and denying the rule of reason and moral. The idea had its predecessor in Dada movement, systematising and arranging its legacy. 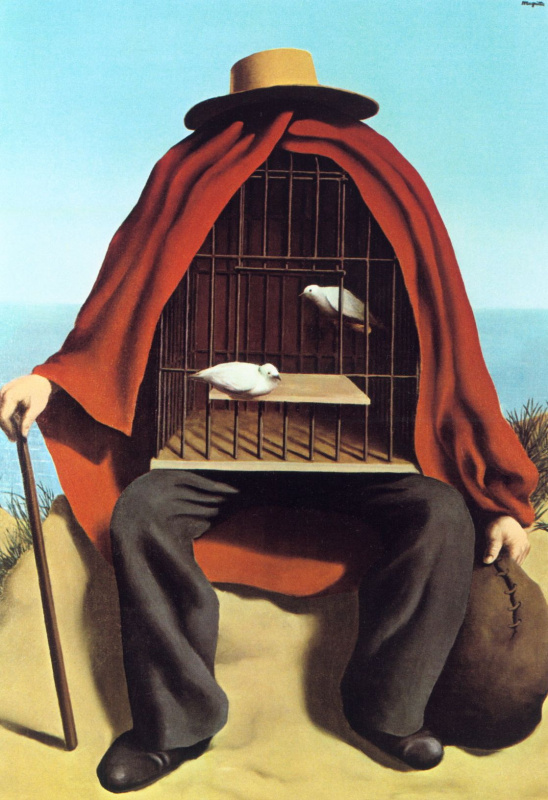 The Surrealists were influenced by Sigmund Freud’s psychoanalysis theory, although Rene Magritte later distanced himself from this theory. They believed that a rare beauty can be found in the chance encounter between a sewing machine and an umbrella on an operating table for instance. But there was also a social stand in Surrealism movement, for they embraced the Marxist ideology and fought to shatter imperial bourgeois culture. 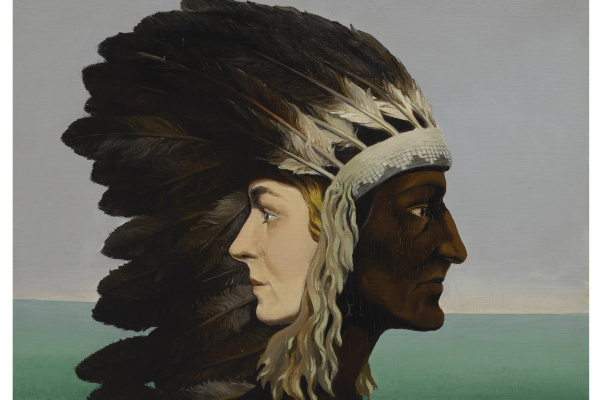 The key figures were Max Ernst and Salvador Dali, latter depicting almost hallucinogenic and paranoid visions, questioning the very base of reality and its standards. 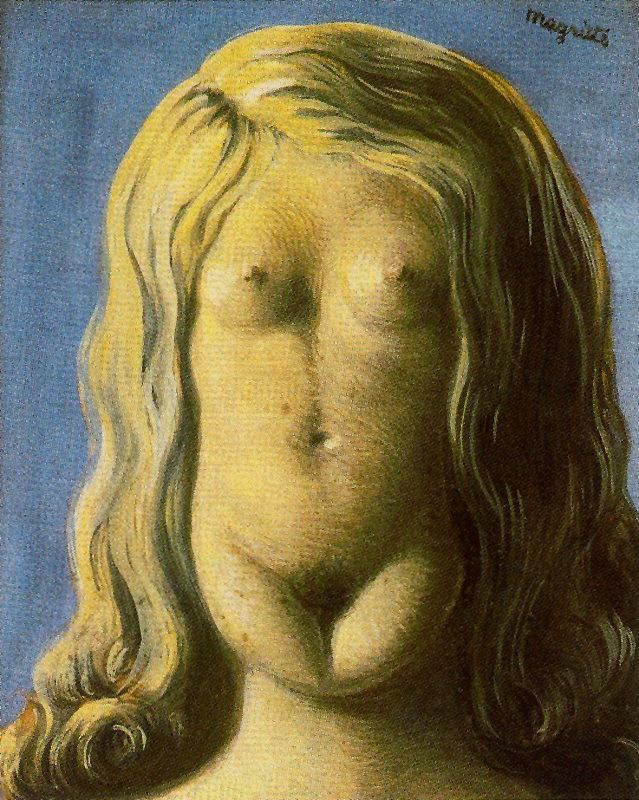 Rene Magritte, however, had a different approach. He operated within the restricted area of figures, symbols, facts, precise and clean shapes, but it was just what he needed to establish his own art style. There’s a frequent appearance of apples, pipes, male figures and bowler hats on his paintings, but the meaning this artist conquers goes beyond the image, it’s the matter of signs and signifiers, of what the image represents, and what it could represent if the meaning wasn’t fixed by society canon. 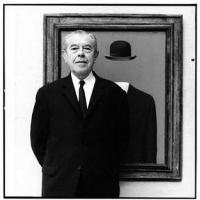 Rene Magritte was born into a wealthy family. 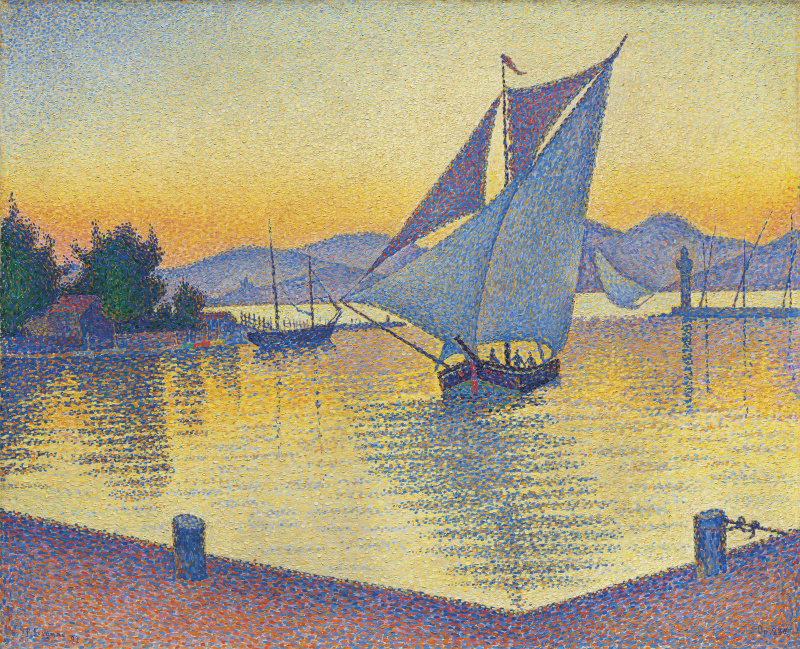 The artist’s childhood days were abruptly cut by the suicide of his mother when he was just 14. The young Magritte became interested in arts after seeing an artist making sketches at the graveyard, and he later joined Belgian Academie Des Beaux Arts, however, for a very short period-he dropped because of the boredom. His first noteworthy paintings were in the Cubist manner. In 1922 Rene Magritte married Georgette, and soon began the career of an ad and wallpaper designer, in order to support his family. In the days of WWII, after his contract to the Brussels' gallery was cancelled, Rene Magritte painted fake Picasso's, even forged money in order to survive.